From the World's first fully waterproof leather boot to the latest QuadAir 3G technology Kodiak has always been a leader when it comes to footwear design and engineering. 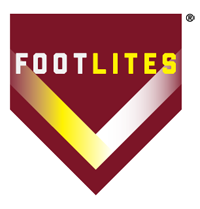 KODIAK FOOTLITES reflective technology for ultra-high visibility in dimly lit conditions without the appearance of a flashy reflective strip. Available in a variety of color ways, the CSA approved KODIAK K4 line is a brighter, lighter take on industrial safety. 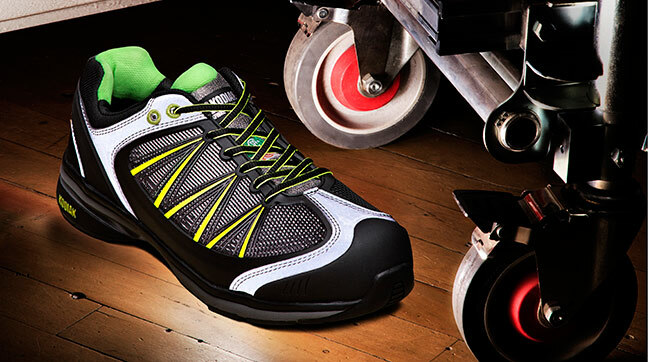 The K4 line offers all-day comfort, lightweight uppers, and Ultimate SR outsoles. With CSA safety features like static dissipative and electric shock resistance, composite toe and plate protection, these shoes are fully loaded when it comes to safety and protection on the job. The K4 line may define lightweight safety but its safety features aren’t to be taken lightly. 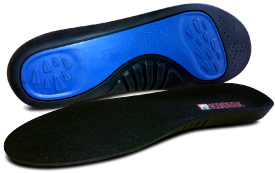 Ultimate slip resistant outsoles have been engineered with highly slip resistant and flexible rubber outsole compounds; combined with tread designs which allow greater surface contact and dispersing of liquids or contaminates with ease. Each outsole has been tested in accordance with the slip resisting requirements of CSA z195-09. Metal-free safety footwear that meets or exceeds both CSA and ASTM protective footwear standards, designed completely with metal-free components.